Don't look now, but your "shopping list" of choices at the grocery market has gotten a little bit smaller. Post Holdings (POST) -- the packaged foods conglomerate responsible for such cereal offerings as Grape Nuts, Honeycomb and Honey Bunches of Oats -- expanded its portfolio by one more cereal brand last month. Its $1.15 billion purchase of privately owned cereal maker Mom Brands ended the 95-year history of one of Minnesota's oldest family-owned companies, and one of the rising stars of the natural foods movement. Not everyone's thrilled with this development. 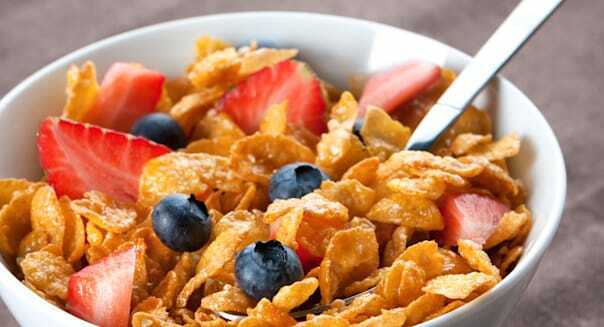 Last week, a coalition of consumer advocates groups urged the Federal Trade Commission and states' attorneys general to investigate this merger, arguing that if Post is allowed to swallow Mom, "the four largest firms [will sell] nearly 90 percent of all cereal" in the U.S. The situation's even worse than that, though. As for Post, even after gobbling up Mom Brands last month -- and Michael Foods (eggs derivatives) last year and Hearthside Foods (organic cereal and granola), Dakota Growers (private-label pasta), Attune Foods (organic cereal) and Premier Nutrition (protein bars and liquid vitamin supplements) the year before that -- it still doesn't make it into the 10 Big Food companies. Post's $3.2 billion in trailing sales are barely a fifth of what Kellogg sells in a year, and less than a fifth of what General Mills grosses (according to data from S&P Capital IQ). Adding Mom to the mix will push Post up to about $4 billion. Kellogg's Frosted Mini-Wheats became Mom's "Sweetened Wheat-fuls." General Mills' Cinnamon Toast Crunch met its match in Mom's "Toasted Cinnamon Squares." And Kellogg's Froot Loops were beset by Mom's "Tootie Fruities" -- a cereal that Mom's hometown newspaper, the Minneapolis Star Tribune, called a "dead ringer" for the kid favorite. Worse, by eschewing most advertising and relying on word of mouth to sell its products, Mom kep prices far below the industry average for boxed cereal. At our local Kroger (KR), for example, Mom's cereals could often be found selling for less than $2 a box, and sometimes for less than a dollar! And adding PR insult to financial injury, every box of cereal sold came with Mom's "Simple Goodness" boast, that it contained "no artificial preservatives, high fructose corn syrup or hydrogenated oil" -- and was produced "using renewable wind energy." Result: In no time at all, Mom's transformed itself into "the leader in the [cold] cereal value segment" (according to Post's own press release announcing the deal), controlling an 18 percent market share nationwide, selling $760 million worth of cereal a year and bringing in roughly $120 million in earnings before interest, taxes, depreciation and amortization annually. All of which put Mom's squarely in Post Holding's crosshairs. Announcing the acquisition last month, Post CEO Rob Vitale highlighted the merger as ending "a century of spirited rivalry between Mom Brands and Post." Henceforth, Post says it will be "combining our strengths" -- but it will also be cutting costs. "Infrastructure rationalization" (closing factories and laying off production workers). "Shared administrative services" (laying off office workers). "Improved leverage within the combined sales force" (laying off salespeople). Real moms can only hope that Post will stop there, and not proceed to cutting any "costs" that went into making Mom Brands a quality product in the first place. Post says it willmerge Mom Brands into its Post Foods division. But Post did not say if this might entail other cost cutting (doing away with purchases of renewable energy, for example). What is certain, though, is that Big Food just got a little bit bigger.